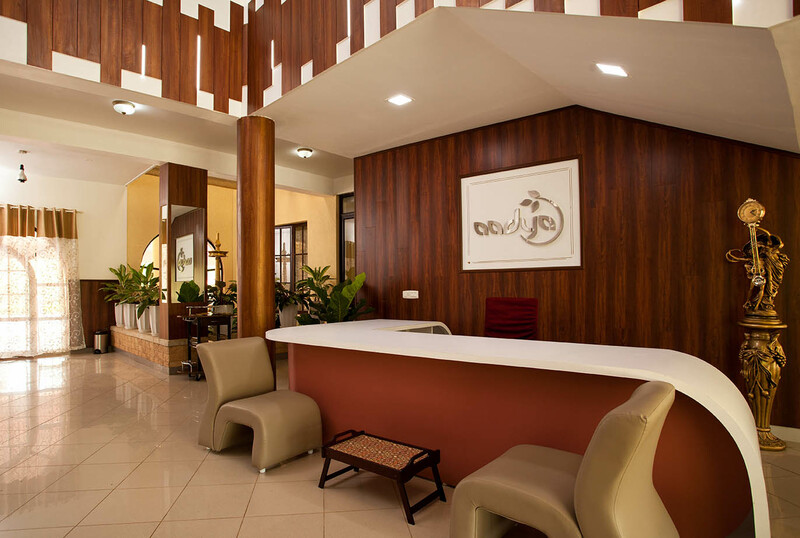 Aadya Resort Bangalore is located on Doddabalapura Main Road and it is a place where you can unwind yourself, away from the unremarkable affairs of the city. In the event that you are thinking about how your day could be unique in relation to that of an everyday day, well we let you know how it precisely feels to be here. As the sun wakes up from a profound sleep, spruce up and attempt your hands at various fun and recreational activities or indulge in wellness programs offered by the resort. Aadya Holistic Retreat strives to make the ancient Indian Holistic Health techniques of Ayurveda and Yoga, a way of life. We believe that only secrets that lay submerged in ancient pamphlets and age-old therapeutic practices will end modern-day stress and thereby enable you to live life to the fullest. Our herbal medicines, physical massages and various other forms of therapies offer excellent remedies for many illnesses. We provide you a relaxing ambience where the timeless wonders of Ayurveda are applied holistically by highly qualified professionals. We assist you in reaching your fullest potential and help you lead a harmonious and virtuous life. Our constant endeavour is to better our services in every possible way.